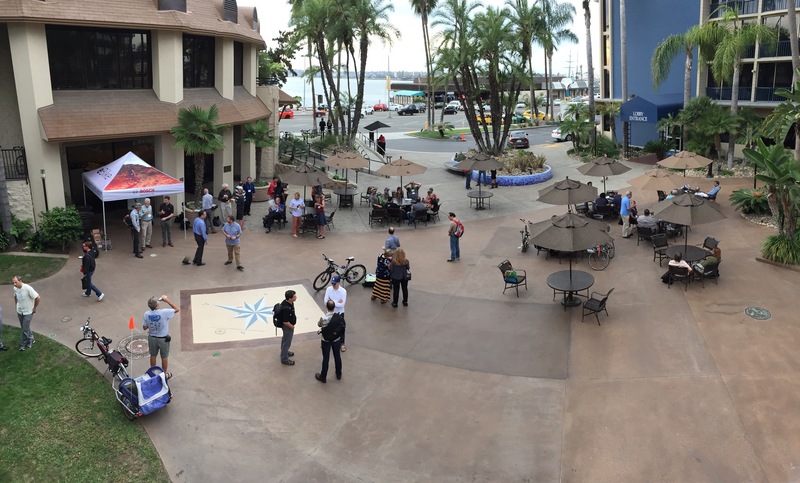 (Sorry, this post is rather text-heavy, owing to the limited visuals afforded by hotel conference rooms)Two hundred+ bike advocates and bike planning professionals from all over CA assembled at the Wyndham Bayside Hotel in San Diego last Sunday for the group’s bi-annual gathering. 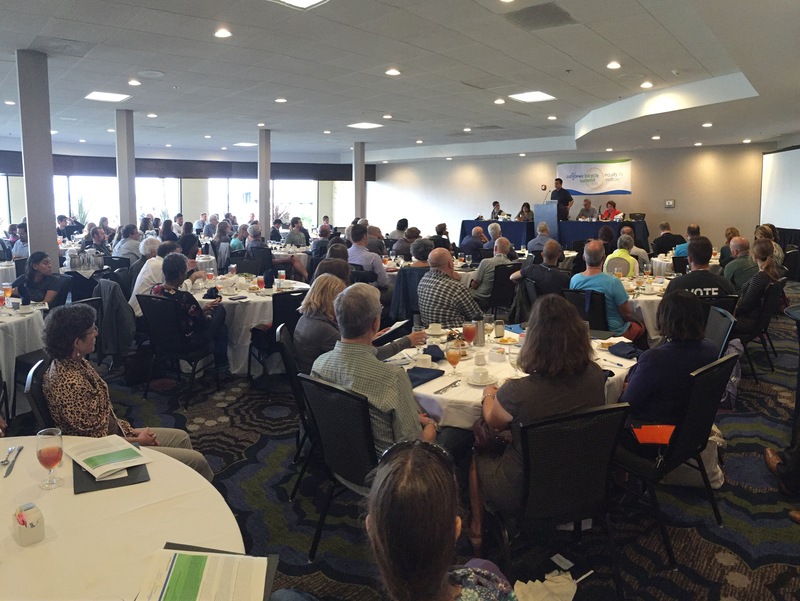 The theme this year was Equity In Motion, addressing the persistent disparity in transportation-related resources and barriers to progress experienced by disadvantaged communities. 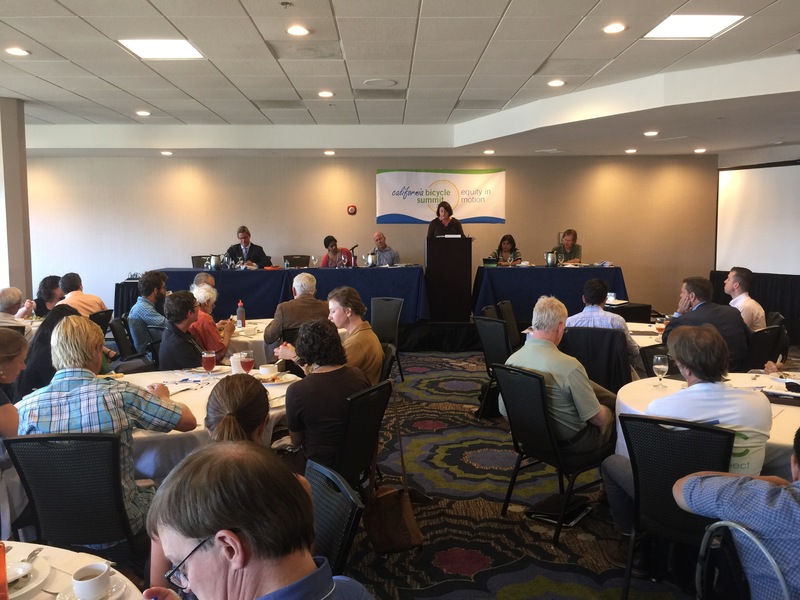 Several breakout sessions and plenaries illuminated the challenges and opportunities surrounding this crucial and often misunderstood topic as well as sessions dealing with bike infrastructure, cycling education, promotion, funding, legislation and more. There were so many passionate, articulate speakers that it’s hard to know where to start (and of course I couldn’t attend all the sessions) but here’s a brief summary of a few standouts. 1. Disadvantaged communities need more than an opportunity for input, they need meaningful ongoing influence in the affairs affecting them. 2. Provide context and values-based solutions tailored to local needs. 3. Recognize that disadvantaged communities are starting from a point of longstanding dis-investment, so allocation of resources need to be prioritized accordingly. Cal Bike’s Dave Snyder and Jeanie Ward-Waller gave a moving tribute to Deb Hubsmith, founder of the Safe Routes to School movement and a hero to many of us who recently succumbed to leukemia. Leah Shahum, former E.D. of SF Bicycle Coalition and now head of the Vision Zero Network gave a compelling presentation on the campaign of the same name. Starting from the knowledge that deaths and injuries caused by motor vehicles are predictable and therefore preventable, it sets the goal of reducing them to zero. A growing number of US cities (including Los Angeles and San Francisco) have adopted this ambitious target. Advocates now have the challenging job of monitoring and supporting progress towards this new paradigm in how we design and use our roads. Closing out the final plenary, Tamika Butler, LA Co. Bicycle Coalition’s Exec. Director riveted us with her intense personal insights into the emotional toll experienced by people of color and minority groups of all persuasions who still endure subtle but cutting prejudice and racism, sometimes unintentionally inflicted by allies and coworkers. Clearly, many of us who have taken our positions of privilege for granted need a deeper understanding of how our words and actions can affect those from other backgrounds. 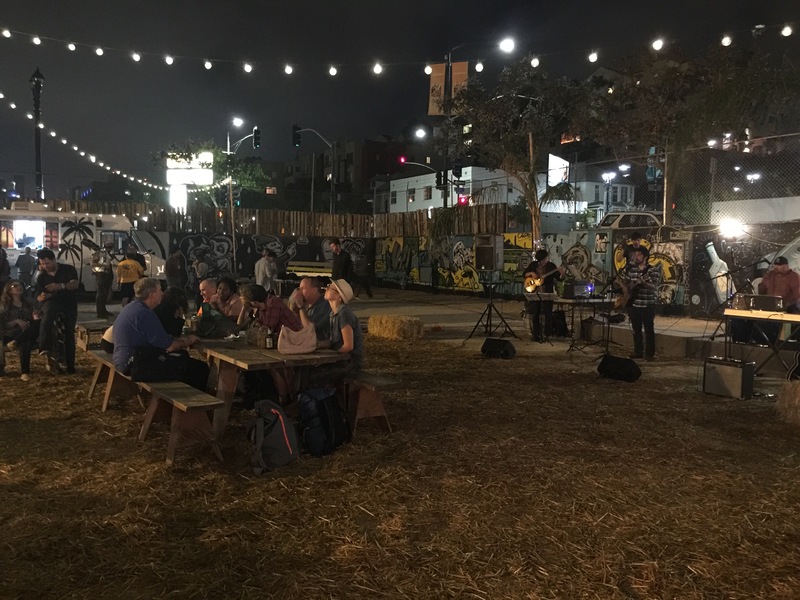 And let’s not forget the fun stuff like the opening night reception at the groovy outdoor Silo space, with music by Tijuana group El Rio! … and the closing night party at the Mission Brewery. 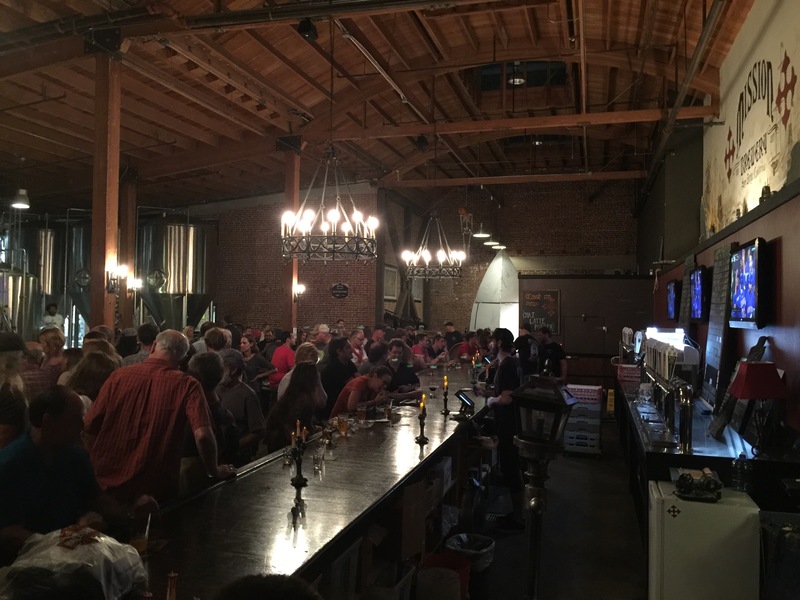 San Diego is blessed with some of the best craft breweries in the country and Mission definitely holds its own, operating out of the cavernous former Wonder Bread bakery building! 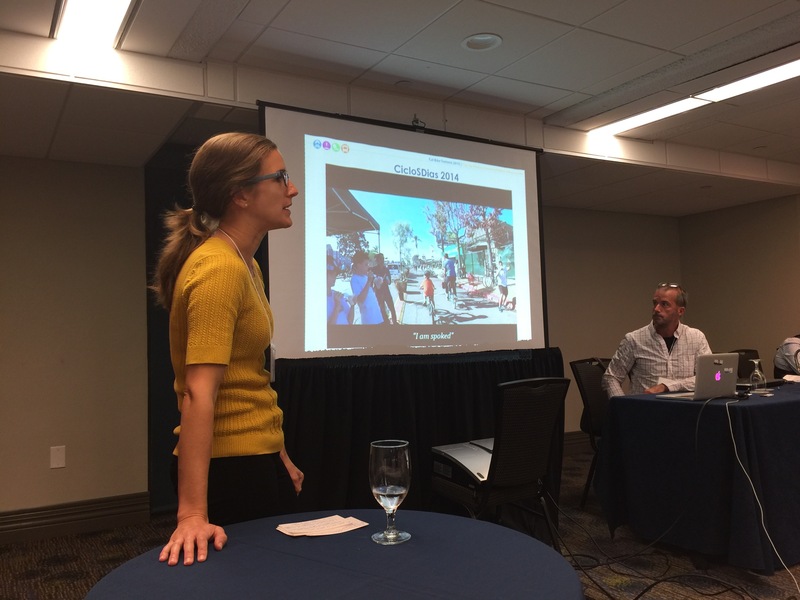 I had a very rewarding time at the conference and look forward to following up with old and new friends, some of whom I plan to visit on my tour to learn more about the bicycle-related climate solutions they are creating in their communities.